This is my take at the sort of famous Palouse Falls. There was an awesome sunset, but it was just in the “wrong” direction, the sun was setting behind me. out to the right of the frame, where there was nothing interesting to photograph. But then you just make the best out of what you get, and I really like this one. 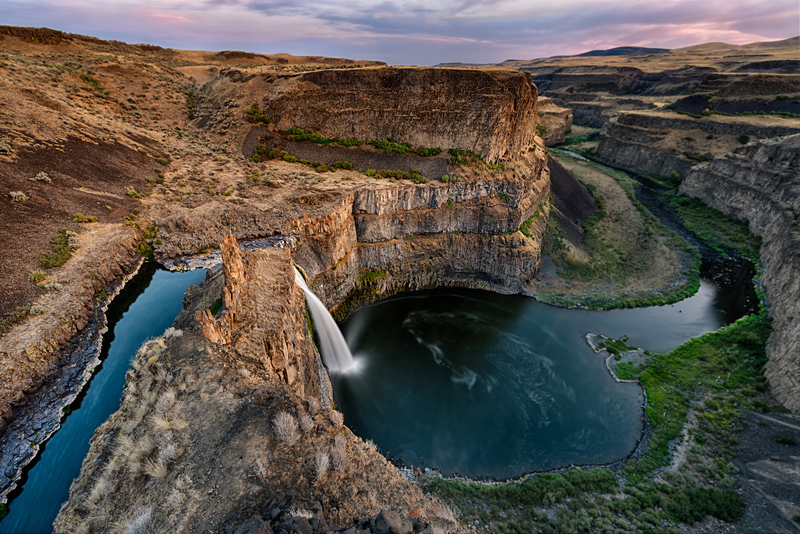 Palouse Falls Sunset by Bo47 is licensed under a Creative Commons Attribution-NonCommercial-NoDerivatives 4.0 International License.